Every bride wants her wedding to be the most perfect day of her life, which is why she has a checklist a mile long for everything from the wedding cake to the wedding photographer to the wedding DJ. So what does every bride need to know about her wedding DJ? What questions should she ask her DJ? What are the most important things to consider when you’re hiring a professional wedding DJ? Here’s a checklist for brides to be for how to find the perfect DJ for your perfect day. How many events has your DJ done? There’s nothing wrong with using a new DJ for your wedding… providing he or she knows what they’re doing. You don’t want a DJ who spends 3 hours setting up during which time you have to resort to an iPod to play music for your guests. Does your wedding DJ return correspondence within twenty-four hours? A professional DJ is certain to ensure that while a call-back may not be within the hour, it will be within 24 hours. 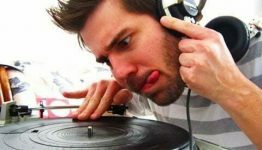 How low is too low a price for a wedding DJ? 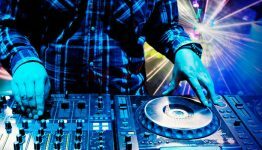 While you don’t want to break the budget hiring a wedding DJ, you do want to pay for the services of a DJ and you want these services to be amazing on your big day. Will your wedding DJ spend some face time with you? It’s important that your wedding DJ will spend some quality time talking to you face-to-face so that you can get a feel for his or her style, make him or her understand YOUR style, and be sure that these styles are the same. ● Is the person you meet at the DJ services office the same person who will be DJ’ing your event? Many times, a DJ company has someone who is the “front face” of the organization, but does not actually do wedding engagements. See if you can speak to the actual DJ before your big day! Follow these wedding tips for hiring the perfect DJ for your wedding!